Maribel Garcia-Rodriguez has an unusual job title—she is the director of global marketing excellence for Bayer HealthCare. It’s a job created four years ago which she accepted after seven years in other positions at the company. A marketing and communications expert with an MBA from NYU and previous experience with Chase Manhattan, Garcia-Rodriguez originally targeted Bayer because of its international reach. Today, as global marketing excellence director, she leads teams that create programs, tools, and processes for markets around the world. Although she was born and raised in New York, Garcia-Rodriguez’s international experience dates back to her childhood, when she spent her middle school years in Colombia. Those five years made quite an impression. “Early experience living outside of the United States shaped who I am and expanded my horizons in significant ways,” she recalls. “I got a unique exposure and perspective on the world that I wouldn’t otherwise have.” The era led to a life-long interest in other cultures, and as a mother, Garcia-Rodriguez is trying to provide her children the same type of experience. 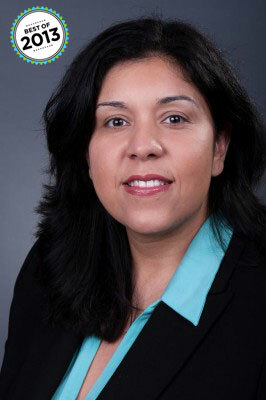 As Garcia-Rodriguez developed her business skills, her love of foreign cultures led to an interest in global markets. Stepping into her international role was the next logical move for Garcia-Rodriguez, who had already managed brands like Aleve, Flintstones, and Bayer Aspirin domestically. When the global marketing excellence position came along, she seized the opportunity. As director, she works to identify gaps in the world-wide marketing community and then develop steps to improve Bayer’s strategies. Although her work also covers North America, Asia, and Latin America, Garcia-Rodriguez spends much of her time in Europe consulting on marketing strategies and facilitating workshops on various topics such as integrated marketing. The biggest challenge, she says, is understanding the nuances of each marketing environment. While the distinctions are sometimes regulatory, they are often cultural. “I have to make sure I really understand the social norms and traditional aspects that might impact how we interact in these markets,” she explains. Maribel Garcia-Rodriguez credits her early years in Colombia with preparing her for an international business position. She moved as a young girl from New York to her father’s native Colombia without yet knowing the Spanish language. The process of language and cultural acquisition, she says, helped shape her openness to exploring and adapting. Now, Garcia-Rodriguez’s 13-year-old son is preparing to travel abroad. In preparation, he was required to write an essay on cultural intelligence—a trait his mother says goes a step beyond cultural sensitivity. “If you’re going to interact successfully with other cultures, you need to be open-minded. You have to be curious, and you have to have a solid foundation to establish credibility,” she explains. In the business world, Garcia-Rodriguez’s credibility came from combining her work in a sophisticated marketing environment with her with her cultural curiosity that stems from her experience growing up in Colombia. The German workplace and market, for example, follows a more rigid, task-oriented structure than Garcia-Rodriguez found during her Colombian adolescence. In Finland, seasonality plays a major role as daylight lasts only four hours during winter months. “Cultural and geographical aspects impact consumers and how they use our products. Our job is to use the marketing process to address these issues,” Garcia-Rodriguez says. In Turkey, all Bayer products are kept behind the counter and out of the consumers’ sight. In other markets, consumers can see but not touch products and must always interact with a pharmacist to purchase headache medicine or vitamins. Garcia-Rodriguez looks for consistent gaps she can work with local markets to address. For someone like Garcia-Rodriguez, it can be hard to keep everything straight. After all, she travels nearly 40 percent of the year. In 2013, she’s been to Germany, Switzerland, China, Malta, France, Mexico, and back to Germany. “I’m often in several time zones and juggling many projects during the same week,” she says, adding that it’s crucial to stay close to each market while maintaining a healthy objectivity. By focusing on synergies—and not only differences—Garcia-Rodriguez leverages her work across all markets and then deals with the nuances on a market-by-market basis. Bayer’s global brand is designed to be uniform yet flexible. The international platform allows local markets to adapt appropriately to the local consumer. While a brand like Aleve is positioned for arthritis users in the United States, it might target back pain in markets where arthritis is not treated with over-the-counter solutions. In this manner, brands are able to provide solutions without straying too far from Bayer’s core equity. Garcia-Rodriguez has discovered the value in leading a competent international group. “We’re finding success because our people and projects are skilled and diverse,” she says. The team helps her learn smart and sensitive ways to approach each market. The continued global exposure has built in Garcia-Rodriguez a broader skill set outside of traditional marketing. She hopes to one day manage a country outside of the United States and become a senior executive responsible for a global function.